These tales told by the slaves in the American South are brought to rousing & joyful life with music & song. Telling these tales gave the slaves hope & faith that they too could survive & persevere in the face of their troubles just like Brer Rabbit. Thanks to the response and wonderful support for the first Knick Knack Paddy Whack recording, it has been a joy to record Knick Knack Paddy Whack 2. 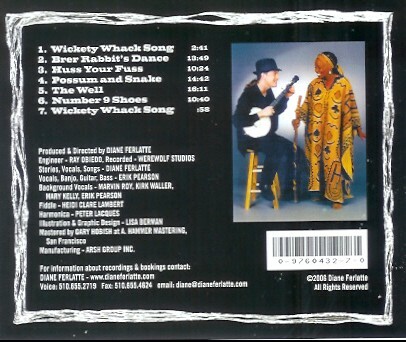 With Erik Pearson on banjo & guitar. Old songs, stories, & traditions seem to die if they are not remembered and valued. This collection is designed so that young people as well as the entire family can sing, dance, & clap along with the songs, and laugh and chuckle with the stories. These songs and stories are not just for children...this is a family thing. 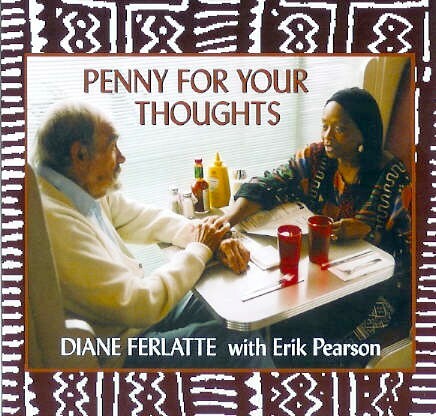 In this recording Diane not only tells a story about Aesop, but also adapts five of her favorite Aesop fables with her special zest and humor. His fables have served for ages as examples of wisdom, morals, and lessons for humanity. Aesop set the stage over two millennia ago for all storytellers to follow. This CD is the result of a family show that her dear friend Melba Jones asked her to perform for the Once Upon a Story Festival. 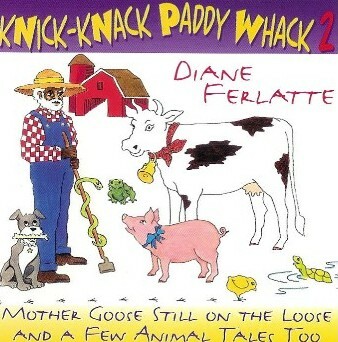 Diane had so much fun adapting the fables and adding music and song that this recording was just a natural. 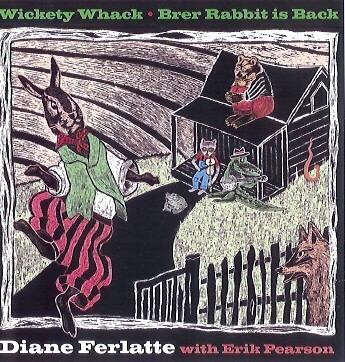 Accompanied by Erik Pearson on vocals, banjo, guitar, and bass, and by some of Diane's very special friends. audio presentations I have ever heard! Accompanied by Erik Pearson on banjo and guitar, and by students from Meadows Livingstone School in San Francisco. Respect for the elders is what I learned from my parents and grandparents as a child. I believe respect for others and respect for self begins with the choices we make in how we meet, greet, and talk to each other. Included are stories from African American folk tales, personal stories, fables, and even a Langston Hughes short story. Yes M'am, Respect for the Elders; Ages 5-adult. 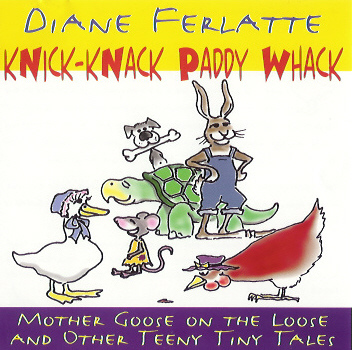 Playful rendering of stories and songs for young children--and their parents! Erik Pearson on banjo and guitar. These songs and stories have been passed from generation to generation. I grew up hearing and singing most of these songs. As a storyteller, one of my main goals is to contribute in any way I can to the rejuvenation of storytelling and singing as a part of everyday life. Very popular mixture of African, African American, and other folktales. These stories burst with laughter and suspense, as well as lessons for children, (and adults), that have withstood the test of time. Tales from a Georgia Sea Island backed by singers and drums. On January 16, 1865, General Sherman issued Special Field Order #15, ceding most of the islands in Georgia and South Carolina to the former slaves. 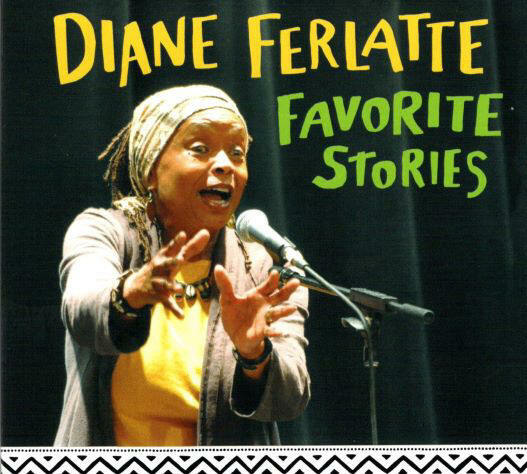 This tape is a recording of the one-woman show Diane developed from the stories of the elderly descendants of those former slaves, who are still living on Sapelo Island. Please submit contact information as well as requested recordings via email below and we will respond with shipping and payment information.